You’ve decided to discover Shanghai, and you want to know where to stay in Shanghai 2018, which neighborhood to stay in Shanghai to be able to move easily while being in a nice neighborhood? In this article, I tell you where to look to be on top in Shanghai, and give you some cheap hotel addresses in Shanghai ! 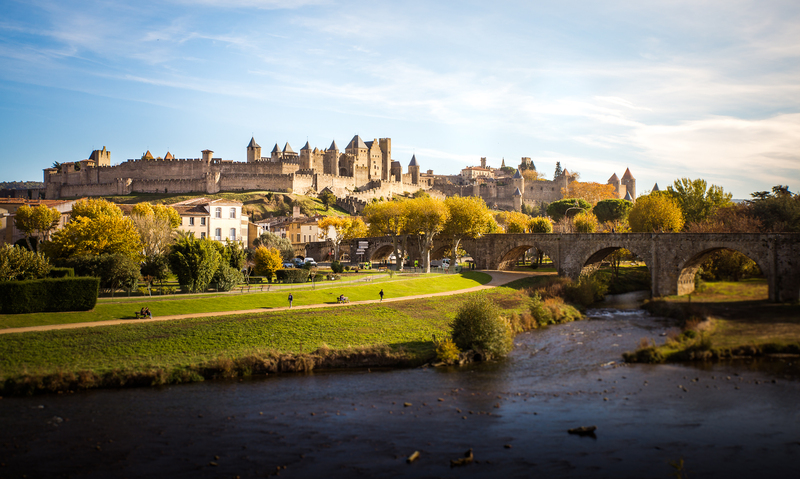 I created a very complete article to know how to discover this city. 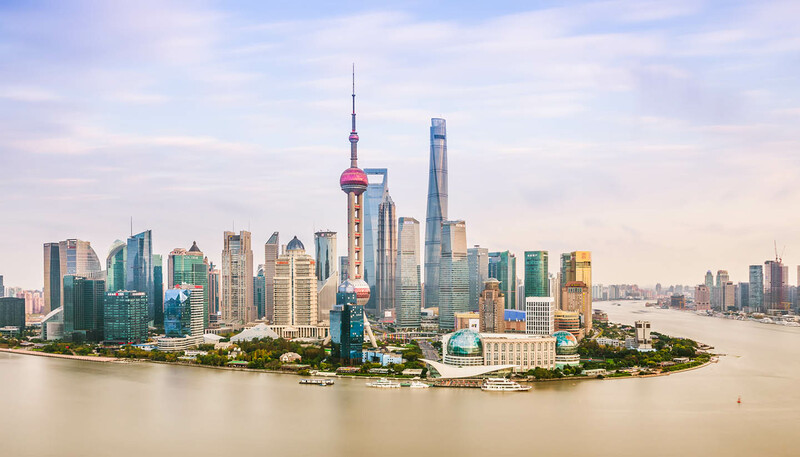 I strongly advise you to take 5 minutes to read it before going to visit Shanghai (do not hesitate to use the menu to the right of the article). For me the neighborhood where you have to stay is the Jing’an district. It is located on subway line 2 which connects the city to Pudong International Airport. It remains my order of personal preference, but what is certain is that once you have passed through these 4 neighborhoods, you will have seen most of Shanghai. The leftmost red round zone is therefore ideal (see map above). The Black boundary is the boundary between the old Shanghai (called “Puxi”), located west of the river (Huangpu), and the new Shanghai (called “Pudong”) located east of the river. Line 2 (the one that passes through the red round areas) is the most central metro line and connects the western part of the city to the eastern part. On top of that, it leads directly to Pudong International Airport. In order to move quickly and be at the heart of the debate, so I recommend you to stay. 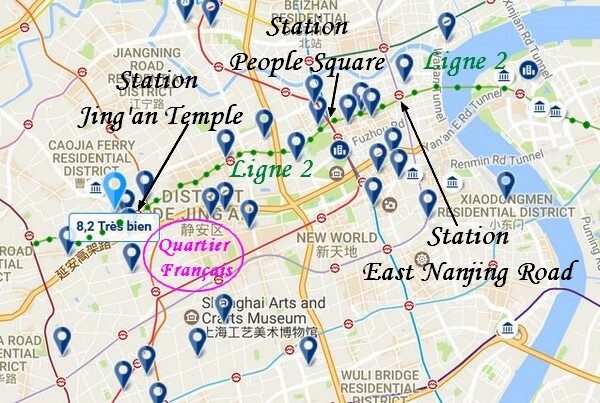 If you are not in Jing’an, stay close to one of Line 2’s stations. 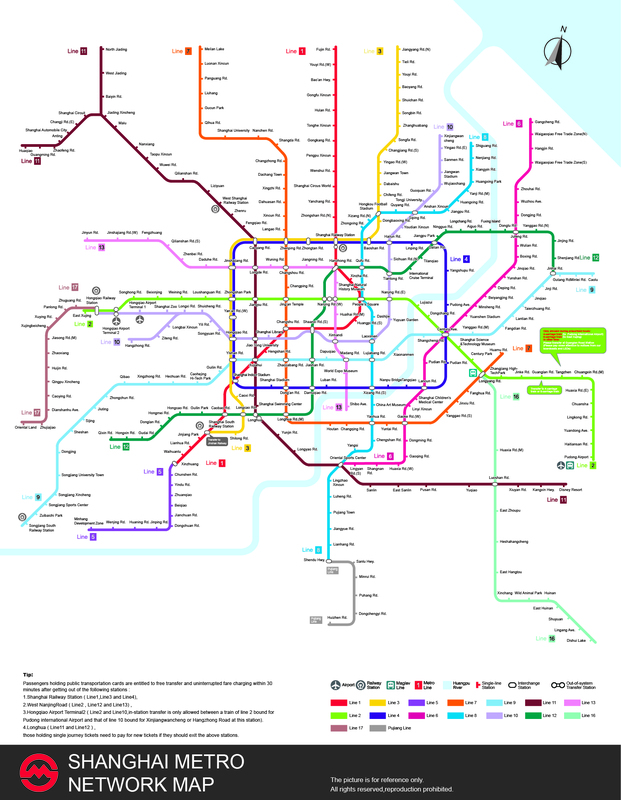 The city of Shanghai is made up of several small city centers that are all located on this subway line. To move is also the most practical and central. 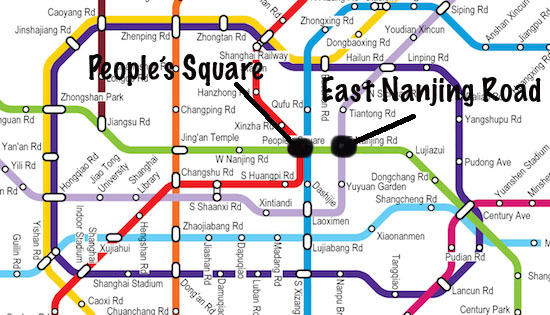 You can also try to reside at East Nanjing Road or People Square, both located on Line 2. The World Union Service Apartment – Cosmo, is conveniently located just off the Green Line (Jing’an Temple Station). A good address. Beside you have the Ladoll Service Apartments, always so well placed. Click here to enlarge this hotel map and see the availability. In Jing’an area you have the hostel Shanghai The Traveler’s Rest Youth Hostel. This small, cheap hotel in Shanghai is not only comfortable but also allows you to be in the center of Shanghai’s excitement. Believe me, in Shanghai the place where you live is more important than the hotel itself, from very long distances to go. 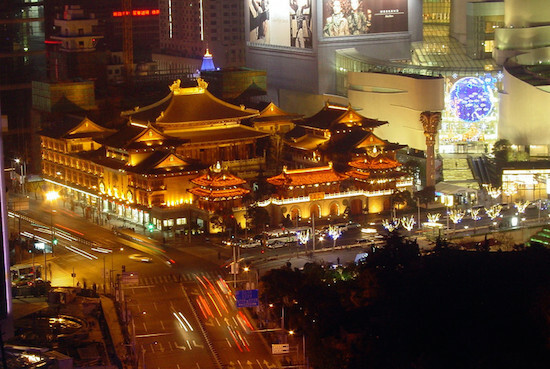 Here, you are perfectly located, right next to the famous Wuding Road with bars and restaurants very cool. 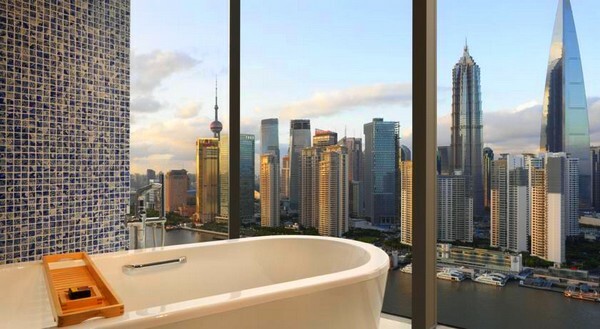 For those who are much more financially solid I recommend the URBN hotel Shanghai. It is clearly not given but the location is perfect and the hotel really beautiful. 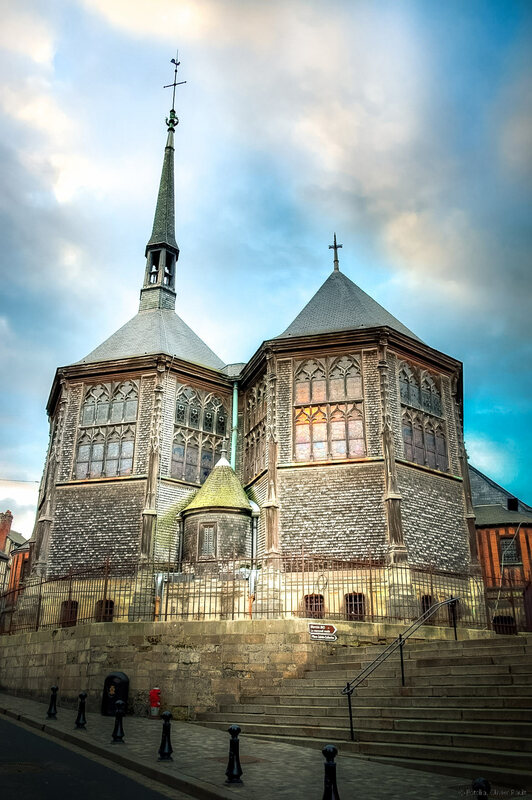 Less well located but still close to the beautiful neighborhoods you have ” rock and wood international youth hostel “. Hyper cozy with a small barrel terrace and a lounge where can clearly spend all his aprem ‘without too much force. The price is the cheapest in Shanghai. 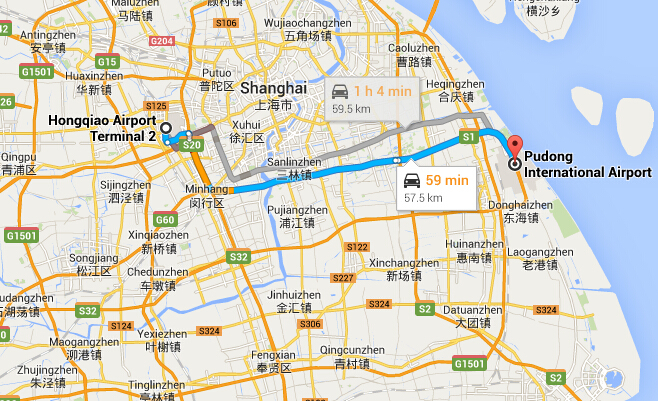 You will have to walk a little to reach the hotspots of Shanghai (you can also take the taxi). For those who have more money, I can not recommend the Wutong Apartment Shenchengli . I did not personally stay there but went back for a breakfeast with friends. Superb room and especially in the middle of the “French concession” which is clearly the most beautiful district of Shanghai (but not the cheapest necessarily hehe). To recommend. It is intended for adventurers that you are in need of thrills. 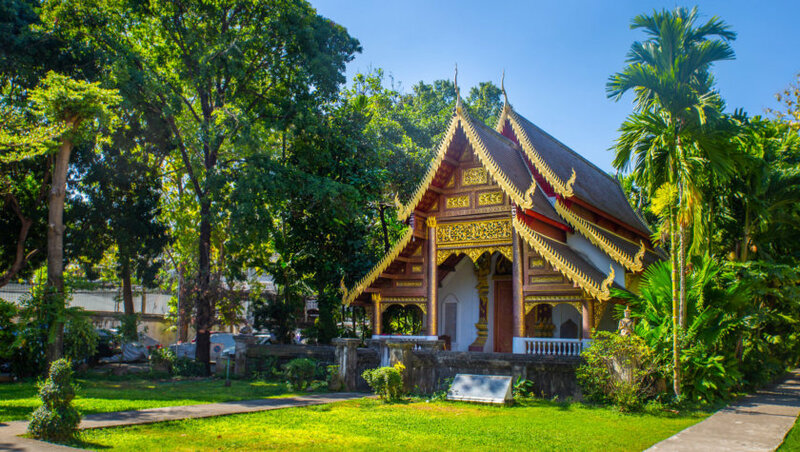 Cheap, good atmosphere, and located north of the city. One last thing: If you are a young expat and you stay for a few months, I have a friend who lives on the spot and can help you find housing. I give you his wechat: voilaohlala. It’s friends gift! /! \ Important information to know. Remember that in China, Google (like Facebook) do not work, because proscribed by the government. It is therefore very difficult to do your research on site, so I advise you to download a good VPN before leaving (this little software that accesses foreign servers will still allow you to access our friend GOOGLE being on the spot, phew saved …). 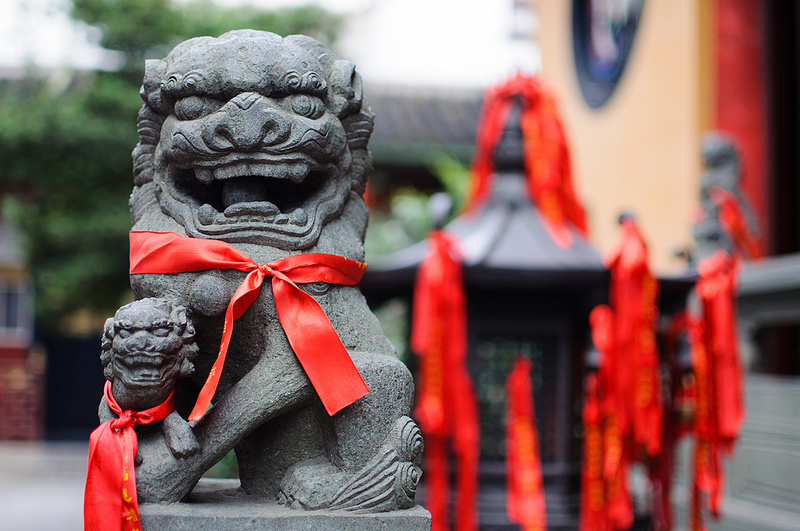 Click here to find out more about downloadable apps for visiting Shanghai. Be aware that Shanghai is a very safe city, so you can walk around any neighborhood. 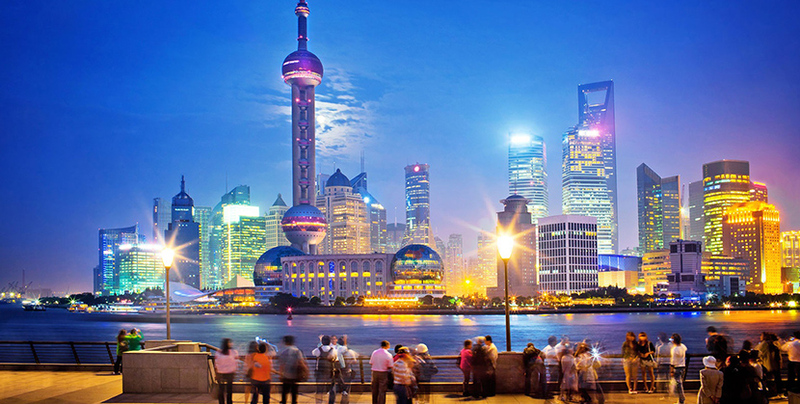 If you want to have fun in Shanghai without being foolish, you will still need a small 55 € per day all inclusive. For a pint of beer, count € 6, and a meal count € 20 (in trendy restaurants). You can also eat succulent spicy skewers or a good bowl of fried noodles, sitting on a small red stool in the street with a Bintang (Chinese beer) in hand … Count 15 yuan or 2 €. It then comes to your mind to take a taxi, clever as you are, telling you that “he will surely know the address”. What you are funny buddies … The driver will never get to read the address in pinyin (ie the phonetic translation of Chinese characters), scrupulously written on a piece of paper before leaving. You will repeat him 3 times the address in impeccable English, and he will answer you 3 times the same thing in a Chinese impeccable (你说什么东西?) “But what are you talking about my guy?”. As a result, you leave the cab quietly because you know how to control yourself, but you will have been insulted two or three times without your knowledge, and the saddest thing in this story is that you will probably arrive at the address in question. … but 2 days later. The most common means of transport, the safest and the cheapest is of course the metro. The ticket costs 4 yuan or 0.5 €. 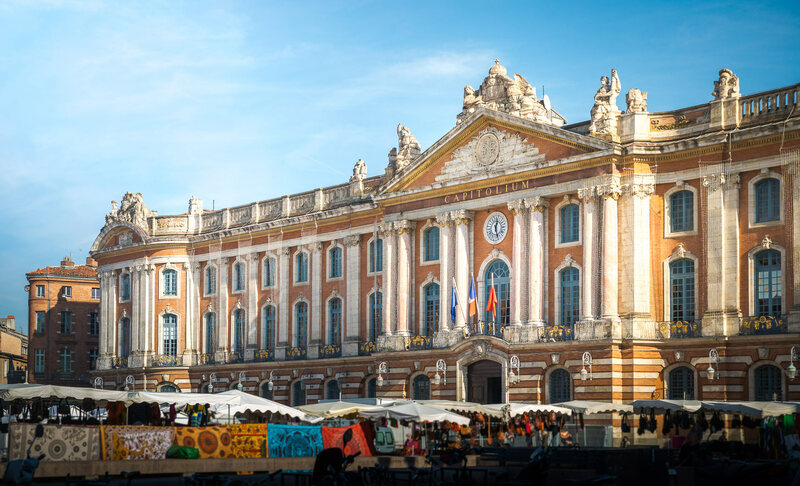 You will be sure to bring your journeys with a taxi or a short walk of 10 minutes (know that the average duration between 2 metro stations is about 3.5 minutes, against 1.5 in Paris). In some places of Shanghai you will be forced to take a taxi in addition to the metro if you do not want to walk for 40 minutes. 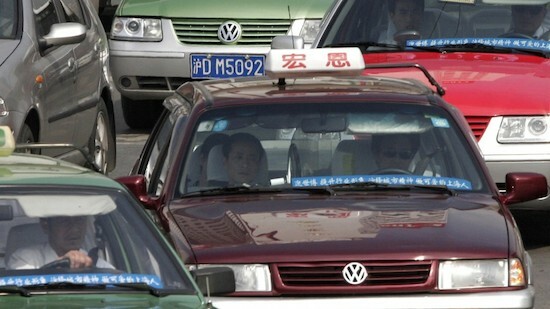 A taxi ride is charged from 15 to 30 yuan (2 to 5euros), depending on the distance to be traveled. 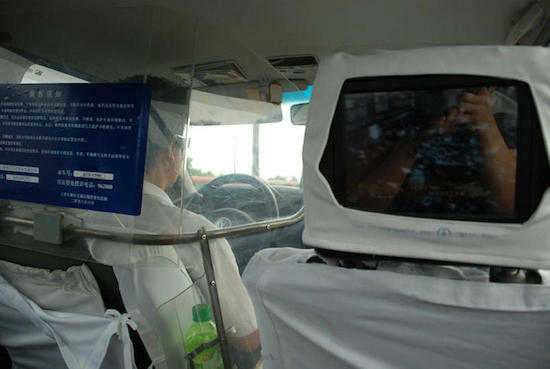 The taxi is not necessarily the safest way to get around Shanghai, but it’s still the most convenient and economical way. I assure you that for the equivalent of 2 € the race, you will stop quite quickly to take the metro. In addition, traffic is fairly fluid in Shanghai, unlike Paris. This is due to the fact that cars pay very high their license plates. The Shanghainese can not afford to own a vehicle. The goal for the government is to limit the pollution rate. Always check that the meter is activated otherwise ask for it. So if you enter a taxi without a meter, leave because the race will cost you a lot. You have 2 airports in Shanghai: Pudong Airport is located on subway line 2 (Shanghai pudong international airport stop). And Hongqiao Airport is located on the No. 10 subway line at Hongqiao airport stop (but you also have line 2, but it is not accessible via Terminal 1). I advise you to take the metro to reach the city center from the airport, it’s the simplest way and the cheapest. It takes 1.5 hours by subway from Pudong Airport to reach the city center and about 30 minutes from Hongqiao Airport. If you are really loaded, you can opt for the taxi. You will spend about 200 yuan (27 €) from downtown to go to Pudong and 70 yuan to go to Hongqiao. Again, make sure that the taxi has installed its odometer so you do not get caught. Normally there is no problem. Well now, I think you have all the keys to find out where to stay in Shanghai , which neighborhood to sleep in Shanghai . Where did you sleep in Shanghai? Do you have a cool address to share? A restaurant, a bar, a hotel !? Feel free to leave a comment at the bottom of the page! Where to stay in Shanghai 2018? 3 days itinerary in Shanghai – What to do and see in 3 days in Shanghai? What language spoken in Shanghai?